Owning one or more rabbits can be a great experience. They make wonderful pets and companions. You will need somewhere for your rabbit to sleep and rest when they are not hopping in the yard or keeping you company indoors. A rabbit hutch is a great way to keep them safe and out of the elements. Rabbit hutches come in a variety of sizes and styles. Large rabbit hutches are generally the best, as you want your pet to have plenty of room to stretch out and get comfortable. However, if you go too big with a small rabbit they may lose some of their sense of security, so be sure to include a nesting area. An outdoor rabbit hutch is typically made from wood that has been treated using non-toxic chemicals. This is important as you don’t want your rabbit becoming sick from toxins. When looking for a rabbit hutch for your bunny, there are a few key features you’ll want to look for. High quality wood – Go for the best you can afford. It will matter in the long run and your rabbit hutch will last longer, and keep your pet warmer and more secure if a high grade wood is used. Size matters – You definitely want your rabbit to have enough room to move around and designate an area for eating, and one for sleeping. The cage should be high enough for your pet to jump without bumping their head as well. If you have multiple rabbits, be sure the hutch is large enough for each of them to have their own space, even if they choose to sleep together. Security – Make sure that the rabbit hutch you are buying is solid and sturdy. Remember, you are responsible for ensuring your rabbit’s safety when they are in their outdoor hutch. Raccoons, coyotes, dogs, cats, foxes and even squirrels may try to gain access to your rabbits and/or their food. Choose a cage that is secure from predators and keep your rabbit safe from harm. Ease of cleaning – You will be far more motivated to clean your rabbit’s hutch more often if it is easy to clean, but do not compromise safety or structure for ease of clean up. Remember, your rabbit is counting on you. Buying a wooden rabbit hutch is a big decision, but one you will only have to make once. Even though we are in the business of selling cages and rabbit hutches, we understand that for many people the cost of buying a rabbit hutch is just not in their budget. However, building a hutch yourself is not all that difficult and materials required for building it are not too costly. If you have some basic carpentry skills, you can easily complete it over a weekend. If you design your own rabbit hutch, make sure you follow some basic layout rules such as allocating plenty of floor space for your bunny to move around. Another important thing that may impact your design is that, even though they are pet rabbits, rabbits feel more comfortable in a den and not a cage. You should try to design the hutch in such a manner that your rabbit will think of it as their den. Many commercial rabbit hutches contain wire floors. This is typically an attempt at an easy way to keep the floor of the hutch clean because it allows dirt, any rubbish and the rabbit’s waste to fall through. However, wire floors are way too rough for some breeds of rabbit’s feet/paws and you may need to keep a layer of padding, such as fresh straw or hay, covering the floor. A general rule is: Hay is for eating and Straw is for bedding. If you are building your own hutch you may opt for a vinyl floor covering on a plywood base. The plywood base creates a very strong bottom and the vinyl is relatively easy to clean. The vinyl is also very inexpensive and fairly simple to replace when it gets worn or otherwise needs replacing. Wire mesh is often used for the front of the rabbit hutch. This is perfectly fine and it allows for air flow to reduce odor formation. Avoiding the use of plastics altogether may be good option, because your rabbit may chew through the plastic over a period of time. Two story rabbit hutches are becoming more popular than in the past but traditional one story hutches are typically much easier to build. If you want to build a second floor, then you need to use materials that are strong enough to give the support for the additional floor. Metal brackets can be used for extra strength on the sides and in the corners. Ramps can be made using plywood or plank lumber. If you are building your hutch for the outdoors, bear in mind the temperature fluctuations during the different seasons and design the hutch accordingly. If it is exposed to direct sunlight, remember the changing positions of the sun through the year. If you want to keep your rabbit hutch indoors, then rubber or plastic feet placed on the bottom of the legs will reduce the wear on floor and carpet. If you have lot of space in the hutch (for the size of your rabbit), setting up a small maze will pave the way for your bunny to go exploring but still remain safe and secure. Even if you build your own rabbit hutch, don’t forget, you will still need to buy some things for your rabbit. Items like toys, a litter box and some bowls. 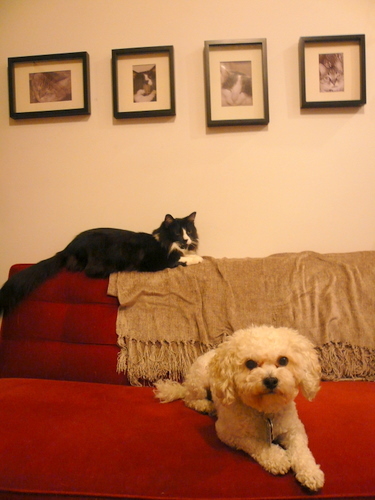 Is your furry little pet hopping mad over their current living arrangements? Is your rabbit cage older than your rabbit? Well it could be time for a new rabbit cage or hutch. What Size Cage Does My Rabbit Need? One of the first practical things you need to consider before purchasing a new rabbit cages is the size of your rabbit’s new housing. 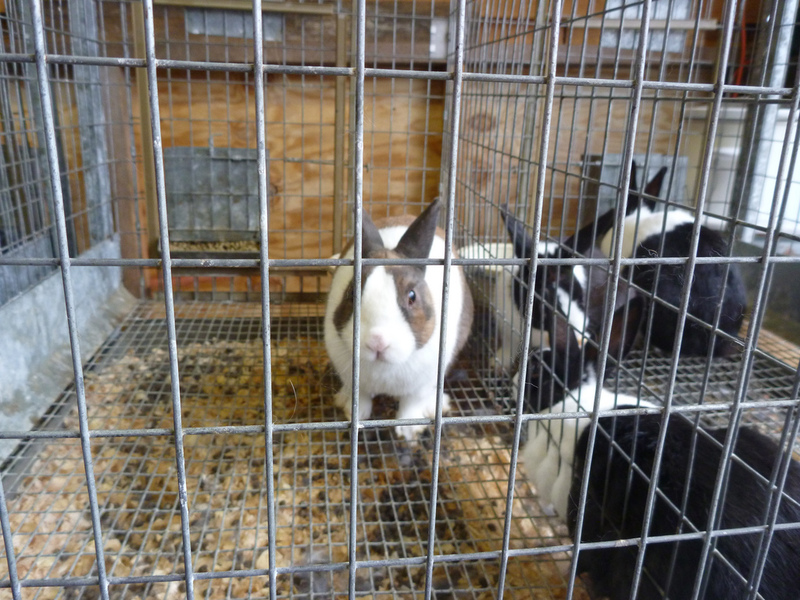 While there are tons of small cages available on the market, including on this site, they should not be used as long-term quarters for a pet rabbit. Rabbits should only be kept in small cages for brief periods of time. 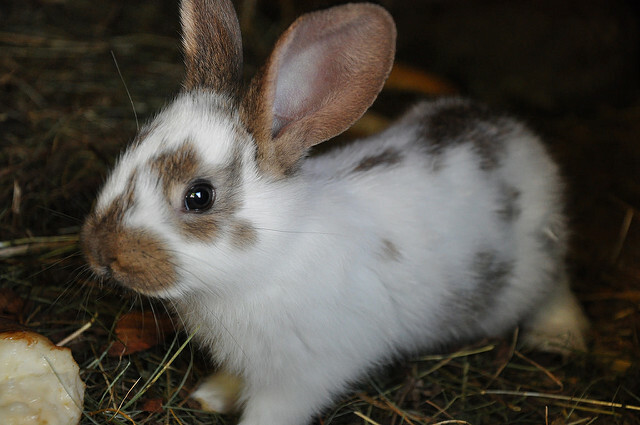 Rabbits should be housed in a large, clean, secure, and durable cage or hutch. While there are many rules of thumb when determining the size of cage your rabbit needs, the easiest method is simple common sense. Seriously think about how big you are in comparison to the size of your house or even a room within your house. Some cages and hutches have grid floors covering at least part of the bottom. This allows dirt and waste to fall through, which allows the rabbit to remain on a clean surface. This is usually the most practical way to keep the rabbit’s housing sanitary. However, various breeds of rabbits require some type of padding on the floor of their housing because the soles of their feet do not have enough cushioning fur pad. Straw or hay often works great for this purpose. You should ask your veterinarian if any type of padding needs to be added to the floor of your rabbit’s house. An Indoor Rabbit Cage or Outdoor Rabbit Hutch? A common question for new owners is whether to get an indoor cage or outdoor hutch. Nowadays there are also indoor rabbit hutches. They are often still referred to as rabbit cages in an attempt to keep with traditional terminology. Some pet lovers feel that having any type of enclosure for their bunnies is wrong and that the animals should be allowed to roam freely from throughout the house. Not only is this dangerous for both you and the rabbit, it is not how they live in their natural habitat. Rabbits in the wild typically have a den. They should never be allowed to roam the house unsupervised. They will chew on electrical cords, not because they are irrationally destructive animals but because chewing on things is just what rabbits do. Obviously this can cause a fire and/or the death of your pet. They will also climb and hop on things that are not appropriate for them to be on, fall and get hurt. If left unsupervised, they will eat things other than their food and can become very ill. And by allowing the furry little bugger to run freely all the time, there is a good chance you will either trip over them and hurt yourself, or step on them and hurt the bunny. Your bunny needs a “den” so he can have a place to sleep where he feels safe and sound. In the wild, rabbits tunnel out a hole in the ground where they can be free from their predators. 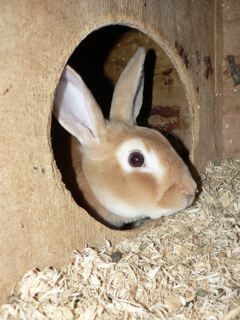 They need a place where they can burrow in the straw or other bedding no matter where the hutch is located. An indoor hutch is typically smaller and more mobile than an outdoor rabbit hutch. You will have the ability to change it from one room to another if you need to relocate the rabbit. They are not intended to keep the rabbit caged in for hours upon end. They are mainly for the bunny to have a safe hideaway and an area for him to relieve himself. Rabbits can be trained to use the litter box pretty much the same as a cat. Male rabbits are sometimes harder to train than female rabbits. Most hutches that are built for the outside are not as portable. They tend to be heavier and it takes a lot more sweat to move them. Most of them are built with tall wooden legs to keep the hutch well off the ground and thus out of reach of predators. Hutches that go outside are typically wider and taller than the indoor type and some come with a run attached or you can purchase a run separately. 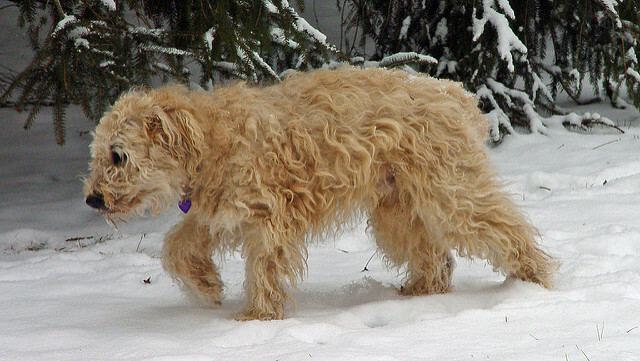 Many pet owners settle the indoor versus outdoor debate by getting one of each. They keep a small cage inside the home for when they want to keep the bunny inside and have a large hutch outside so the rabbit is able to bask in the warm sunshine and get some exercise. Today’s animal friendly traps are nothing like the old claw traps you may have seen in the movies. They are basically a standard rabbit cage with a door that automatically closes once the rabbit enters. If a rabbit has made its way into your residential neighborhood, it may not be a bad idea to capture it and turn it into a domestic pet. Wild rabbits do not typically last very long roaming free in a residential area. Between the traffic, dogs, and other circumstances that they will run into around the human environment, their chances are slim if left running freely in the open. Another thing to consider is that the wild rabbit you have noticed the last few mornings in your backyard may not be wild at all. Often new pet owners think their fenced in backyard is a good place to let their bunny play and exercise. They soon discover that fence was no obstacle for the fuzzy little rascal. Most responsible pet owners will tell you that your bunny needs a rabbit run for their hutch. If you take home a starter kit when you buy your rabbit, it will consist of a small cage and some supplies intended for you to be able to care for your rabbit right away. But those should only be considered a temporary measure. A rabbit needs to have regular exercise to preserve its good health. Bunnies that lead a caged, inactive lifestyle tend to fall into poor health. Rabbits that do not have the freedom they need to hop and move about can develop a lack of interest toward doing anything at all. Yes, they can become the equivalent of a “couch potato”. Like people, rabbits that lie around most of the day tend to get fat. And not just a small spare tire, rabbits that do not have the room to move about can get quite obese. This will lead to a decline in their mental and physical health. This can also lead to problems like heart failure, brittle bones, skin infections and feet malformations. Their quality of life is greatly diminished and they do not typically live as long as rabbits that are cared for in the proper manner. New rabbit owners often think that the cute little wire cages they see bunnies in at the pet store are suitable environments for long term housing. They simple are not big enough to “live” in. Rabbits that get daily exercise are happier and not as likely to be aggressive. Bunnies are not by nature aggressive but can develop the trait due to the frustration they feel by having to remain so long in such cramped quarters. Very similar to people forced to live in an 8 x 10 jail cell. Not only does the ability to run and hop help give your pet a good disposition and a healthier life, but the opportunity to be outside and eat grass can also improve digestion and keep his bowel movements on a regular schedule. When you set up a run, do not place it on an area of the yard that has been treated with any chemicals or you can make the bunny sick. A rabbit hutch and run gives your pet a nice home where he can enjoy his days safe from the weather as well as predators. Rabbits should always have fresh water. Young rabbits should be introduced gradually to greens as very young rabbits can suffer from tummy upsets when fed a lot of grass, lettuce, cabbage, etc. However, they can be given Lucerne hay which is good for them when they are weaning. Rabbit pellets combined with Lucerne chaff and seed mix is available from most pet shops and are ideal food for your rabbit. Dwarf lops, Cashmeres and Dutch need about 112 grams, Netherland Dwarfs 56 grams. Larger breeds need 168 grams. Your rabbit may enjoy a piece of apple, carrot, mango, celery, Chinese vegetables, and so on. Mine love some parsley which I grow for them. Potatoes are poisonous, so is oleander and all bulb plants (like onions, rhubarb, etc). Ready-mixed goods like Peter’s Mix are available from most supermarkets. However, I recommend cutting them with Lucerne chaff as they need that too, as it is good for them. You can either buy Lucerne chaff and mix it, or by a Lucerne chaff mix already made up. Ask Jennifer here at the pet store and she can show you what I mean. Besides the mix, they should have the rabbit pellets as these are their source of protein. Additional things that can be mixed in their dinner are Economix, a dry preparation for horses which is very nutritious and they like it, or Manomix, which is another horse product, a very high protein pellet best given in small doses to growing bunnies and adults who have lost condition, unless you are raising meat rabbits. Beware of overfeeding your bunny. Greed, thy name is Lop. Lops in particular can get very heavy and fat which is not good for them and they are so good at pleading and looking cute to get what they want. One scoop or 112 grams of good a day plus the odd bit or fruit or veg is enough – whatever they think. Clean cage, fresh food, hay (Lucerne or meadow hay) and water are all your rabbit needs in return for a lot of enjoyment and the affection she/he can give. Your cage needs to be dog, cat, fox, etc proof. You will also need to make sure it is fly, mosquito & flea proof. As we cannot vaccinate for myxomatosis, you can help with insects by covering the cage with flyscreen wire. (Myxomatosis is transmitted chiefly by mosquitoes). Vaccination against Calici virus should be done at 10 – 12 weeks. Rabbits also need protection from the weather, especially damp and cold winds and also heat. Metal cages suitable for rabbits can be bought commercially at pet shops and produce stores. They are easier to keep clean than the wooden ones, but can be cold in winter so a good thick layer of newspaper should be put in the hutch area as well as bedding or straw. You can make your own wooden cages, which should ideally be several inches or even a foot off the ground to prevent damp and to allow air to circulate. Or you can convert a child’s wooden playpen into a rabbit pen by attaching aviary wire to the inside of the bars (to prevent bunny from escaping between them) and on the base to prevent him/her from burrowing). A plastic box with a lid purchasable from Clint’s, Big W or K-Mart with a hole cut in one side and lined with newspaper and straw/hay can serve as a hutch and allow him/her to jump up and sit on it as bunnies like to roost. Cover the pen with lattice or similar to keep out stray cats and put shade cloth over it to protect the bunny from the heat. Flyscreen wire should be run around the outside of the pen to keep out insects. For a Dwarf Lop a cage 110-120 cm long by 50 – 60 cm wide and 50 – 60 cm high is good. A Satin should have one at least 120 by 60 by 60 and a Netherland about 90 by 50 by 50. Rabbits can handle cold well but have problems with heat. Therefore, ideally, the pen/cage should be able to be moved about the yard so that in summer it can be put under shade and in winter moved to where there is sunshine. Moving the cage benefits the lawn as the bunny can mow it while fertilising it. In very hot weather make sure the bunny’s water is cool as she/he will not drink it if it becomes hot and so can die of thirst. Ice cubes help. A bottle of water frozen in the freezer and placed next to the rabbit will give her/him something cool to lie against, simply with a wet or frozen towel or carpet. If the rabbit is in a shed, soaker hose laid over the roof and turned on low will bring down the temperature inside. Check out our ‘Ten steps for coping with summer’ guide. If you intend to keep your rabbit in the house, make sure you do not leave it unattended as they love to chew on telephone cords and any electrical cords. Rabbit’s teeth never stop growing so they like chewing on things (eg chair and table legs). Frequent gentle handling of your rabbit will make it more friendly and of even disposition. Toilet training your rabbit: When you first have your rabbit, whether he is in the house or a cage, he will chose a place for his toilet. Scoop up his soiled material and place it in a litter train. Leave the tray in his chosen place and he should keep on using it. You may be able to move the tray later on and he still should use it. Rabbits should NEVER be left outside in the sun on very hot days. You can provide your rabbit with a plastic bottle with frozen water in it to lie against to keep cool. NEVER leave your rabbit without shelter in the rain as if he gets wet he will take a long time to dry. Pet turtles make wonderful companions for children and adults alike. They can be hardy animals that live for a very long time when properly cared for. However not all pet turtles are created equally. Of the many many different types of turtles available there area select few which make wonderful pet turtles. And while being easy to find, they are also easy to care for when you know how. Below we’ll discuss the most widely available pet turtles you’re likely to find in a pet store or local pet shop. 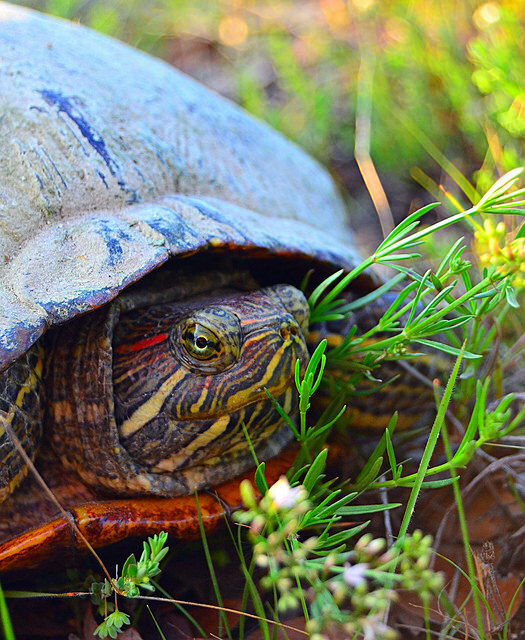 Box turtles are one of the most popular types of pet turtles. These turtles are best when kept in an outdoor, enclosed environment. Although you can have them in an appartment setting, it is not recommended since they prefer a lot more space than is usually afforded in an apartment. There are quite a few different types of box turtles. According to Wikipedia, see below for the available types of box turtles. Obviously not all of these are suited for family living but the most common as pets are the Eastern Box Turtle, Spotted Box Turtle, and the Ornate Box Turtle. Ollie the red eared slider and favorite of our pet turtlesThe Red Eared Slider is probably the most popular of pet turtles. They are also the most affordable and easy to find. Pretty much any pet store will carry these and you’re likely to see them swimming together in a water filled tank. Red eared slider turtles are distinguished by the red or orange stripes behind their eyes, hence red eared slider. Painted turtles are another great options for families interested in pet turtles. Their popularity is second only to red-eared sliders. They are very hardy pets and, in the wild, have been known to live for over 50 years. So compared to other pet turtles, no doubt they can be a lifelong companion when cared for properly. One drastic difference between the red eared slider and box turtle and the painted turtle, is that painted turtles don’t care much for being held. So if you have a younger child, who wants pet turtles to play with, a painted turtle may not be the best option. Instead stick to the more lovable pet turtles available. So if you’re interested in finding out more about the various kinds of pet turtles available, be sure to check out the category for pet turtles or simply ask your local pet store for any recommendations whether you’re a first timer or an experienced turtle owner. If you enjoyed this information, or have any suggestions please be sure to comment below or share this page with someone you know who would benefit from this information.